(Reuters Health) – Less than one in 10 people with alcohol use disorders get prescribed medications that help people drink less and avoid binges, a U.S. study suggests. One in four American adults binges on alcohol at least once a month, and one in 15 binges five or more times a month, researchers report in JAMA. For males, binging means consuming at least five standard drinks on a single occasion; for females; it means consuming four standard drinks on one occasion. Even though there are three medications approved to treat alcohol use disorders in the U.S., most people only get treated with counseling. Because alcohol use disorder is stigmatized, people generally don’t tell doctors that they drink heavily, and physicians tend not to ask, said study co-author Dr. Henry Kranzler, director of the Center for Studies of Addiction at the University of Pennsylvania Perelman School of Medicine in Philadelphia. Even when patients do get diagnosed with a drinking problem, treatment is often fragmented and inaccessible, Kranzler said by email. Only about 8 percent of people with serious drinking problems get care in an alcohol treatment facility. And less than 9 percent receive prescriptions for drugs that might help them cut back or stop drinking. Available medications for alcohol use disorder work in different ways. The oldest, disulfiram, stops an enzyme from breaking down a toxic byproduct of alcohol. As a result, people who drink experience symptoms like nausea, headaches and weakness – which may discourage some people from drinking. Naltrexone, which blocks some of the naturally occurring opioids in the brain’s pleasure center, is available as a short-acting pill or a long-acting injection. By dulling the pleasure of drinking, this drug may help some people avoid binges. A third drug, acamprosate, appears to help abstinent patients maintain their avoidance of alcohol by attacking pathways in the brain that may make people more prone to alcoholism. To get prescriptions to more patients who might benefit from these drugs, primary care providers will need to make a concerted effort to screen patients, researchers note. Screening is relatively simple and can be done with a few questions. Then patients with a diagnosis of alcohol use disorder can be given counseling and prescribed medications. Failing to do this takes a heavy toll: alcohol is associated with 88,000 deaths in the U.S. every year, researchers note. But while routine screening for heavy alcohol use has been recommended, only one in six U.S. adults reports ever having been asked by a health professional about their drinking behavior, the study authors point out. “It is clear that there are medicines doctors can prescribe and health professionals . . . like psychologists and social workers who can counsel patients with evidence-based therapies,” said Dr. Richard Saitz, an associate editor for JAMA and a professor at the Boston University School of Public Health. Once doctors diagnose a problem and recognize the treatment options, they still need patients to accept they need help, Saitz added. 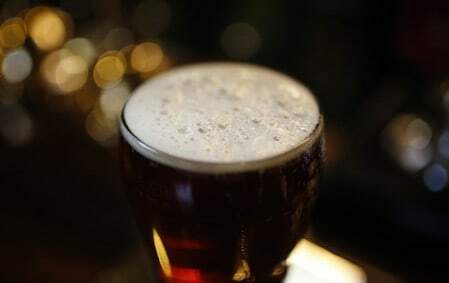 “Patients may not seek help because heavy drinking affects their motivation and recognition that they have a condition that needs attention,” Saitz said. SOURCE: http://bit.ly/2Pg2qbW JAMA, online August 28, 2018.